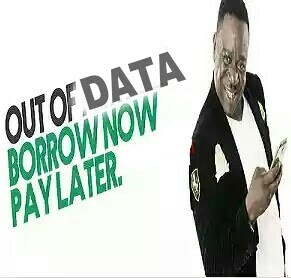 Glo Back to back is here for Glo subscribers, as you can now borrow Data when you run out of data on your phone. Hope it's a welcomed development. Glo Network providers are always ready to see to the need of their subscribers, just by providing the needed service customers needs at any point in time. This trending Glo Borrow Me Data, allows subscribers to borrow Data credit up to 2GB whenever they run out of data bundles. Probably yours may get exhausted and you needed data for urgent purpose or you don't have the airtime to subscribe at that moment but will surely pay later, Glo has made it possible for you to borrow when you find your self in such situation. Read also: The Cheapest Data Plans For All Network In The Month November, 2016. >> First, for you to use this service,you must at-least be a month old using Glo network with their Sim card. >>To borrow data, just dial this code *321# on your device having your glo sim card already inserted on your mobile phone. >>After dialing the code, follow the menu options. Remember, the customer will repay the Data credit whenever airtime recharge is made on such sim. Check out: The Latest Internet Configuration Settings For Glo To Browse On All Android Device.